Unit. In that role, Ross was responsible for the Sales, Business Development and Customer Service departments. In January 2017 Ross was appointed Acting Chief Commercial and Strategy Officer, responsible for the functions of Corporate Commercial and Strategy, Quality and Excellence, as well as Business Process and Business Intelligence. Over the past 16 years, Ross has been specialising in leading and managing sales revenue, commercial process and commercial strategy across multiple sites and market sectors having worked for leading international companies in the industry such as the Peel Ports Group and American President Lines (APL). 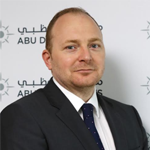 At Abu Dhabi Ports, Ross primarily focuses on driving the growth of the company, delivering an enhanced customer experience and setting the corporate governance of the commercial function. Ross is a holder of a Bachelor of Arts degree in International Business and Languages from Plymouth University. He has also obtained the Executive Management Diploma from Singapore Management University (SMU) and an Executive Master of Science in Maritime Economics and Supply Chain from Erasmus University Rotterdam. 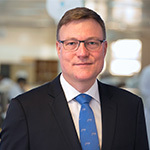 Michael T. Jorgensen is Group CFO of Oman Shipping Company (OSC) since September 2017. Michael has international management experience and extensive business experience related to the transportation sector (shipping, logistic and airlines) and capital markets. Prior to joining OSC, he served since 2009 as Chief Financial Officer of D/S Norden, a Danish shipping company specialized in dry cargo and product tankers. Before that Michael has also held positions within the A. P. Moller – Maersk Group, acting as Chief Financial Officer in Maersk Air, Damco and Maersk Line. 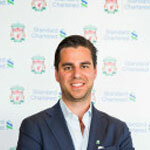 Michael holds an EMBA degree from IMD and a MSc degree in finance from Copenhagen Business School. Mr. Wickramasuriya joined the upstream oil and gas industry in 1984, working for Schlumberger, the worlds largest petroleum services company. Following 12 years on oil rigs worldwide as a Wireline Field Engineer, he held training, operations management, product development and marketing positions in the North Sea, Middle East, USA and West Africa, for 10 more years. 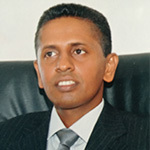 He was appointed Chairman/Director General of the Sri Lanka Board of Investment in 2004, then Chief Operating Officer of the Reconstruction and Agency, and subsequently Chairman of the Sri Lanka Ports Authority, in which capacity he negotiated and constructed the Colombo Port Expansion, Hambantota Port Phase 1, and Oluvil Port projects. He retired from Government service in June 2017 after spending the previous 6 years as the Director General of the Petroleum Resources Development Secretariat, an institution tasked with developing the country’s emerging oil and gas industry. Mr Wickramasuriya is currently Senior Advisor to the CEO of HIPG, the JV between the Government of Sri Lanka and the China Merchants Ports group that operates the port of Hambantota. In addition, he is Co-Chair of the Ceylon Chamber of Commerce National Agenda Committee on Energy, a policy advisory role linking private and public energy sector stakeholders, and sits on the Boards of several private and listed companies. Mr. Wickramasuriya holds a BSc. (Hons.) 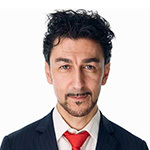 Degree in Engineering Physics from Loughborough University UK, and through his various assignments, possesses extensive experience in a spectrum of technical and marketing disciplines as well as areas of strategy and national policy development. Mr. Sanjay K. Mehta has over 25 years’ experience in proprietary fund management, investment banking and mergers and acquisition. Sanjay has wealth of experience in the industries of maritime transportation, port infrastructure, mobile telephony, oil & gas and power generation industries in which he has lead financing and M&A transaction in excess of USD 12 billion. 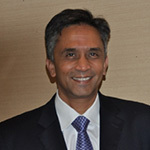 Sanjay since 2014 is chairman of his family trust fund, S ONE Trust and is CEO of S ONE Capital, asset manager of the trust fund based out of Geneva and London, prior to that Sanjay held the position of Managing Director, Essar Capital Limited asset manager for Essar Global Fund a USD 34 billion proprietary fund of the Ruia family. 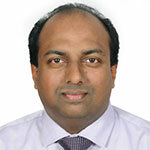 In 2006 Sanjay was instrumental in setting up of Essar Global Fund and its investment manager Essar Capital Limited. At Essar Global Fund he lead and executed on a wide range of high profile M&A, financing, capital market transactions including one of the largest IPO on London Stock Exchange. 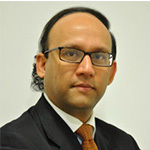 Prior to joining Essar, Sanjay worked for Hambros Bank, London, Goldman Sachs / J Aron & Co, New York and American Marine Advisors Inc. New York. 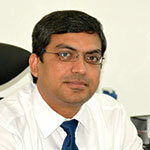 Mr. Mehta is independent director and member of risk committee on the board of Steamship Mutual Limited, London. 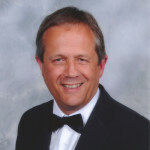 He is also independent board member of American Bureau of Shipping. Sanjay has MBA from London Business School, London He graduated with Honours Degree from London School of Economics, London. He resides in Geneva and England. Mr. Kjaedegaard had a long and distinguished career with the A.P.Moller-Maersk Group where he served as a member of the A.P.Moller Group’s Executive Board for all Container related Business, whilst also heading up the company’s global liner division, known then as Maersk-Sealand. Mr Kjaedegaard currently serves as a Non-Executive Board Director/Advisor for a number of both listed and privately owned maritime/ transport related companies in Europe and the Middle East. 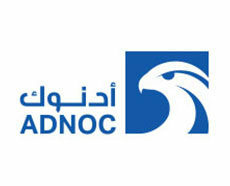 This includes the world’s largest ship management company; V-Group, Hafnia Tankers, Red Sea Gateway Terminals and BIMCO. As the Co-Founder and current Chairman of Hyperloop Transportation Technologies (HyperloopTT), Mr. Gresta leads a team of 800 professionals in 40 countries that span 6 continents. HyperloopTT was the first company to begin development of the Hyperloop™ and is the largest company ever built upon a collaborative business ecosystem. HyperloopTT, under Mr. Gresta’s leadership, has been revolutionizing both mobility and the outdated business model. Before HyperloopTT, Bibop co-founded the influential start-up incubator Digital Magics SPA, which has served as the catalyst for the launching of more than 70 other companies. In addition to his entrepreneurial successes, he is a world-renowned speaker on issues ranging from ethical entrepreneurship to mobility. Bibop has keynoted at events that range from the World Economic Forum and United Nations to TedTalk and MTV. He is known for always bringing a unique and thoughtful perspective. For this reason, he has a following that includes high school/university students to heads of state. Vice President-Financial Strategy, Bobby Varghese, is responsible for the Corporate Finance. 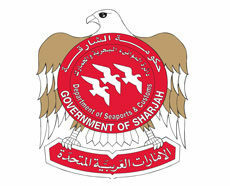 Financial Budgeting, Planning and Performance function for Abu Dhabi Ports and its subsidiaries. 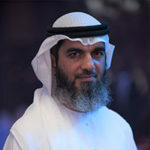 He has been with Abu Dhabi Ports since November 2014, based in Abu Dhabi, UAE. He reports to the Chief Financial Officer of the company. 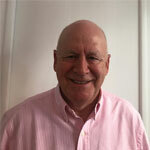 He has over 20 years of experience in the Shipping, Logistics and Ports industry. The major part of his core experience has been in Supply chain and freight forwarding business, while working for the DHL Exel supply chain solutions group and AP Moller Maersk group in India and the Middle East. Bobby is a Chartered Accountant (India) and a Certified Public Accountant (USA). He is also a Certified Green Belt, Lean Six Sigma. He also holds a Diploma in Terminal Management from the Lloyd’s list of London. 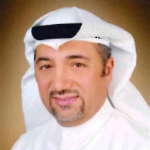 He is currently the Deputy CEO of KOTC,holding charge of the Fleet Directorate which includes all operational matters for Fleet which include the Fleet Marine Operations, Engineering, Personnel, New Building Projects, the Marine Agency Branch and the LPG plants in Kuwait. While stationed at Ulsan, Korea from2005 to 2007, as KOTC Site Manager at Hyundai Heavy Industries (HHI), he was awarded the Ulsan Honorable Citizenship by the Ulsan City Mayor in Oct 2007. 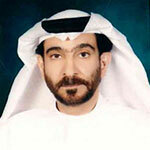 He also serves as a distinguished Chairman and Board Member in KOTC subsidiaryshipping companies. He is also the Chairman of the DNV-GL Middle East Technical Committee – which is the No.1 Classification Society in the world, and a member of ABS – SouthEast Asia and the Middle East Technical committee. 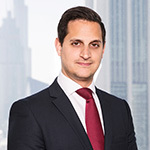 Marcus Machin is a Law graduate of Cambridge University with senior shipping and project finance banking experience in London and Switzerland. 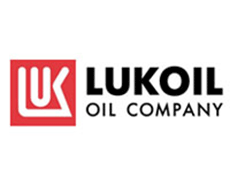 Resident in Dubai for over 20 years, initially as the Finance Director for a major regional participant in the oil services and vessel owning sectors, prior to establishing arabCapital in 2000 and partnering with London based Tufton Oceanic Finance Group (‘TOFG’) in shipping and offshore sector finance and investment assignments. 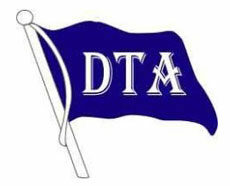 Tufton Oceanic (Middle East) Limited (‘TOME’) a DIFC registered DFSA regulated asset manager, was established in 2006. TOME manages conventional and Shariah compliant funds invested in the marine sector on behalf of a number of GCC and international institutions. To date investments exceeding US$1,300.0m have been made by TOME whilst in aggregate TOFG manages in excess of US$1.5bn of assets, all invested in the international marine and offshore sectors. 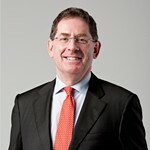 Andrew J. Simmons is the Chief Executive Officer of Four Wood Marine Advisors Ltd (“FWMA”) and has supervisory responsibility across structuring and underwriting activity of Global Marine Transport Capital’s (“the Company”) senior secured lending activity, as well as overseeing internal risk management activities for the Company. He serves as a member of the Four Wood Marine Advisors Credit Committee as well as a member of the Four Wood Marine Advisors Management Board. Mr. Simmons joined Four Wood Marine Advisors in October 2014 and has over 30 years of experience in the banking industry, with particular expertise in shipping finance dating back to 1973. He is well-known and widely respected across shipping finance markets globally, having served in key C-Suite roles for publicly traded companies and high profile organizations in Europe and the Middle East for many years. 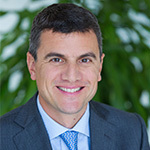 Previously, Mr. Simmons served as Chief Financial Officer of StealthGas Inc., one of the largest publicly-traded LNG carriers in the world (2005 – 20011), Vice President & Head of European Sales for Inchcape Shipping Services, UK (2011 -2013), Head of Credit Reports for Lloyd’s List Intelligence (2011) and Director of Shipping Finance for Heath Lambert in Dubai and Bahrain (2002 – 2005). Prior to joining FWMA, most recently Mr. Simmons served as CFO and Treasurer of SuperEco Tankers Ltd (2013- 2014), a well-known transport concern out of Piraeus, Greece. Tien specialises in asset and international shipping finance including acting for financial institutions (including commercial and development banks), international corporations and shipping companies in relation to the financing, chartering, newbuilding and sale and purchase of ships and superyachts including Islamic finance techniques. Tien has also gained considerable experience in handling ship and ship mortgage registration on a number of registries, bareboat registration, negotiation of charterparties, sale and purchase agreements, shipbuilding contracts and refund guarantees, as well as a wide variety of ancillary commercial arrangements seen in the maritime industry. Tien has over 6 months experience with the in-house legal team of Standard Chartered Bank in Dubai working on security and transaction structuring for the leveraged and trade finance teams. Tien has authored the Shipping Finance Chapter UAE for Getting the Deal Through from 2015-2018. Tien is Ranked in Band 2 Chambers Global in Shipping for his banking work. 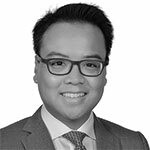 Chambers Global UAE Shipping 2018 says Tien Tai retains a formidable presence in the area of UAE shipping finance law. He leads the finance team in some of its largest matters, including several sophisticated, cross-border transactions. In addition to finance, he is also highly adept in corporate shipping matters. 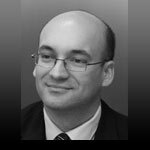 Market sources speak very highly of his shipping finance expertise, remarking that he is a “very responsive lawyer who gives good advice and takes time to understand the business and the context. Michael is a Partner in the firm’s Finance group. Michael advises financiers, owners and operators on a range of domestic and international asset and structured finance transactions in respect of a number of difference asset classes, including debt and equity financing, regulatory and advisory services and enforcement. 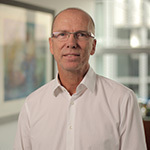 In the shipping sector, Michael has advised lenders, agent banks, lessors, lessees and owners on a range of structures including syndicated loan transactions (both pre- and post-delivery) for the financing of ice-breaker supply vessels, LNG vessels, tankers, offshore installations, commercial ships and superyachts. Michael has also advised on ship sale and purchase transactions, BIMCO chartering arrangements and the granting and discharge of security. Container vessels). Rich commercial and operating experience in shore based Shipping of more 15 years so altogether more than 30 years of experience in Shipping. Was instrumental in starting third party operating business in TMILL (Joint venture of Tata Steel, NYK and Martrade) under ISL brand and creating a strong brand in the global shipping arena. A highly-driven leader with strong techno-commercial acumen, Capt. Patnaik is continuously looking at striking the right balance between the changing business environment, stakeholder value and customer expectation. Focus and passion have been his strong foundation. Under his able guidance ISL has also ventured into many projects such as the Indian coastal container & RO-RO trade, Inter- PG aggregate trade, Liquid Cargo trade, provide last mile logistics solution to customers in India & Towage and harbour services. With a vision to expand and enhance the business in the dry bulk transportation, the company under his leadership has recently acquired a gearless 74,461 Dwt Japanese built Panamax vessel. All of this was possible by developing and nurturing talent, high level of innovation and dynamism. Capt. Patnaik is an active participant at various Marine/Logistics Seminars & Conferences. He has been a speaker at several of these seminars wherein he has shared with the marine fraternity and students his vast knowledge and experience on various topics in the maritime field. focused on arranging finance for energy infrastructure, oil trading and bunkering, energy-related marine assets. Previously he was an oil and gas banker in London with Lloyds Bank and Bank of Scotland – active in arranging project finance, reserve based lending, and structured commodity finance. He started his career in finance with natural gas production and distribution companies in the US. Mr. Bariman received a Master of Public Policy degree from Harvard University’s Kennedy School of Government where his work focused on development and regulation of large scale infrastructure.